I’m not making a political statement, but I’ve been wondering how it became an injustice to not extend a privilege. Entry into any country other than your own is a privilege not a right. I remember traveling to many countries and actually wondering if I’d get in or be turned away. Not one of those times did I ever think that if I was refused entry that I would try to demand my rights. I had no rights in regard to entering a country of which I wasn’t a citizen. I wouldn’t have felt persecuted, mistreated or as though I didn’t receive justice. 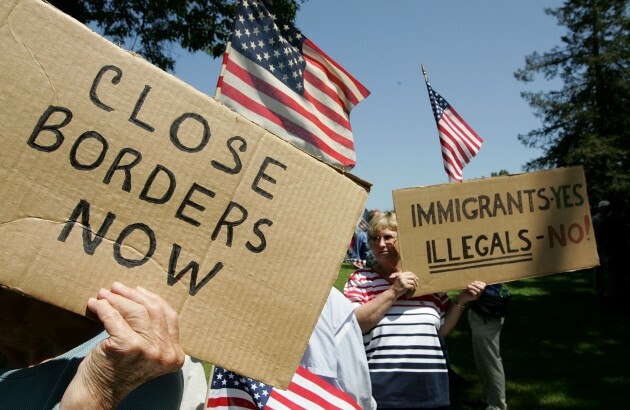 It seems that we should think similarly about people seeking to enter the United States. As a Christian I want to be welcoming to anyone seeking to enjoy the freedoms I enjoy, but even that desire doesn’t make not granting the privilege of coming to the U.S. an injustice. So why are people so upset that some people won’t be granted the privilege to enter the U.S. for a while? Because of the countries they come from which are known to produce terrorists? Because some countries that also produce terrorists were excluded from the list? Because those countries are Muslim countries? Because there’s no proof that terrorists are trying to infiltrate the U.S. through “legal” immigration? Because history (so far) hasn’t proven this is a terrorist technique? In the military we understand the idea of a preemptive action to avoid a greater military engagement. There is an element of Just War Doctrine that allows for a preemptive strike if there is evidence of an impending attack. I haven’t been invited to any of the President’s briefings and haven’t been privy to the counsel he is given, but couldn’t it be that this is what we’re seeing? We’ve been engaged in a “War on Terror” for over a decade now. We have seen combat against terrorism take place in many parts of the world just as we have seen terrorist attacks in many peaceful countries. We have seen reports that “ISIS … has specifically and publicly called for the infiltration of the refugee program – seeking to use refugees fleeing genocide as camouflage to enter the United States and inflict terror…[and] has successfully inflicted carnage in this way throughout Europe.”1 Should we wait for another attack before we respond? Should we wait and see how many terrorists slip in through our current immigration or refugee process? Or should we try to peacefully preempt terrorist attacks on our soil by limiting the entry of people from known terrorist-producing countries, at least until a better vetting process is in place? Yes, as a Christian I am obliged to welcome and care for the stranger, which includes immigrants and refugees, and I want to believe that if I come into contact with any that I will be kind and compassionate, and help them in any way that I can. But does that Christian obligation extend to my insisting that my country accept any possible risk, potentially forsaking its responsibility to protect its citizenry, and provide easy access into our borders? It occurred to me, at least from my unscientific observation of Facebook friends and others in the media, that most of those who are crying “injustice!” about President Trump’s recent executive actions are the same ones who oppose war and violence in any of its forms and decry the U.S.’s military actions to fight terrorism. Many of these same people are also among the first to cry “injustice!” when seemingly excessive force is used against perpetrators of crime and even terror on our own soil. Admittedly, most of us would want to avoid war and violence if we could, even as we seek to eliminate terrorism. Most of us would like to see the enforcement of peace and order in our own communities without as much violence and killing. So it seems like a peaceful deterrent to possible terrorism, like slowing the entry of immigrants and refugees who may hold ill-will against the U.S., would be more desirable even if it makes it more difficult for us to extend to them Christian charity. Much of the chanting I’m hearing about the new (likely temporary) policies on immigrant and refugee acceptance into the U.S. seems to revolve around our Christian obligation to welcome the stranger and provide for them. This is valid and commendable but it isn’t as though the only way to care for them is if we allow them into the U.S. Yes, some may be safer here than in their own, or other, countries but this still needs to be weighed against the safety of the citizens of the U.S., with the ability of the U.S., NATO and U.N. to provide safe zones for refugees from war-torn countries nearer to their homes. Christians can still give, and even go, to take care of those in need around the world. Limiting immigration to the U.S. doesn’t prevent a Christian response. I realize that the situation is much more complicated than what a blog post can answer and there are many more facets to the immigration and refugee policies put in place by both the current and past presidents than can be discussed here, but what I’ve been trying to show, at least in part, is that there is more than one way to view immigration and refugee policy, foreign policy, military policy and even Christian social action. While we can petition and protest, significant change to current policy (under whatever president we may find ourselves) isn’t likely so why not concentrate our efforts on actually helping the situation by doing what we can to help those seeking safety, assistance and freedom, within the system that exists? If we can’t welcome them into our country, love them where they are by giving and sending aid or even going and serving them where they are. If we can’t change how our government accepts or rejects those seeking entry into our country, work within the system to help those in need to legally gain entry. Sure, it’s not as easy and doesn’t offer as many photo ops, but at least something is being accomplished other than flooding the news feeds of social media with statements of protest and condemning memes. On second thought, maybe I am making a political statement. I just want to add that I’m not your average armchair commentator. I’ve been to over two dozen countries, several of them Muslim. I’ve lived in three countries other than the U.S. and have deployed to two others. I’ve had friends and many conversations with Muslims and Muslim converts to Christianity and have been involved in helping some of them both in their country and to come to the U.S. I’ve led teams to Afghan villages and the Egyptian and Korean hospitals in Bagram to provide humanitarian assistance to Afghans in need; and I have raised funds and supplies for distribution. By sharing a little of my experience, I’m not seeking a pat on the back, but rather a bit of your time to hear what I have to say. 1American Center for Law and Justice, “What President Trump’s Executive Order on Immigration and Refugees Does and Does Not Do.” Accessed from their website 31 January 2017. 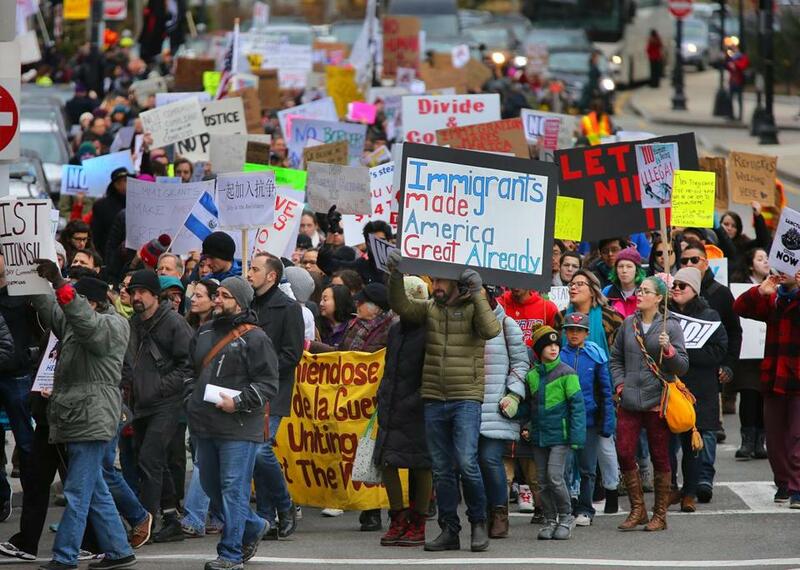 Photo credits: Pro-immigration protest from the Boston Globe website; “Close Borders” protest from News Radio 710 website. 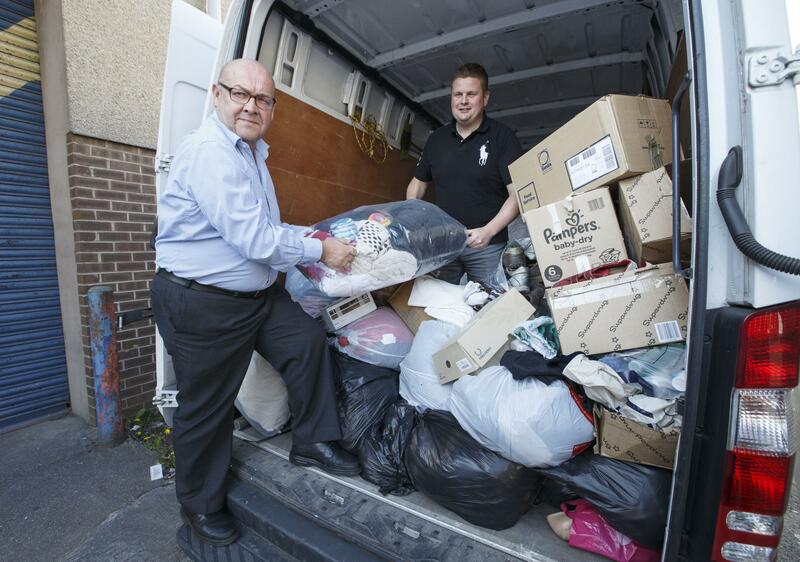 Distributing donations from the Glasgow Evening Times website.